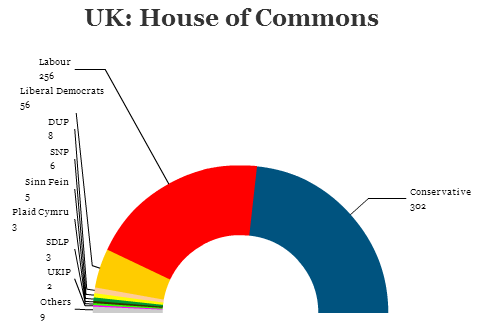 On Thursday, May 7, voters in the United Kingdom of Great Britain and Northern Ireland head to the polls to elect all 650 members of the House of Commons, the lower house of the British parliament and the most important lawmaking chamber. Prime minister David Cameron led the Conservative Party back to power after the May 2010 elections, albeit without an absolute majority, forcing him to turn to the centrist Liberal Democrats in the first coalition government of its kind in decades. The coalition government inherited a country still reeling from the effects of the 2008-09 global financial crisis and a worsening sovereign debt crisis in the European Union, notwithstanding the fact that the United Kingdom is not a eurozone country. Cameron and George Osborne, chancellor of the exchequer, quickly moved to slash the country’s public spending. Meanwhile, the defeated Labour Party eschewed frontrunner David Miliband, the former foreign secretary, as its new leader and instead chose his brother — Ed Miliband, who had a far less distinguished record in government but a more social democratic voice after over a decade of ‘New Labour’s’ market-friendly policymaking. It’s not always been an easy five years for Cameron’s coalition government, but after the economy returned to GDP growth in 2013 (at a tepid rate of 1.7%), growth increased to 2.6% last year and is chugging along in 2015. Voters, nonetheless, may not always feel the effects of the recovery, especially outside the hinterland of London’s financial empire. Despite the budget cuts and plenty of rhetoric blaming the 13 years of consecutive Labour government spending under prime ministers Tony Blair and Gordon Brown the country lost its ‘AAA’ credit rating in February 2013. With the country still in recession, Labour had amassed a 10-point lead in polls, and Cameron’s government seemed like it was headed for defeat in 2015. For a while, Cameron found some solace in foreign policy. He initially installed former Tory leader William Hague as foreign secretary and, for much of Cameron’s administration, international affairs were a strong mark. Cameron had solid relationships with US president Barack Obama, with whom he worked to bolster anti-government rebels in Libya and with German chancellor Angela Merkel, with whom he shared an abiding faith in the budget-cutting policies that sought to eliminate European debt. That changed when the House of Commons refused Cameron’s attempt to intervene in Syria in August 2013 after a chemical weapons attack in a Damascus suburb. Meanwhile, as the economy has improved and as Labour’s polling lead evaporated, Miliband has turned his focus from austerity politics to the NHS, promising to restore lost funding and reform its sometimes-creaky performance. Nevertheless, voters have said they have difficulty viewing the geeky, technocratic Miliband, at age 45, as a British prime minister. Today, both Cameron and Miliband agree on the need to continue cutting the budget deficit (still at around 5% of GDP), but differ on the pace of deficit reduction and the means — Miliband would prefer tax cuts, Cameron would prefer deeper spending cuts. When he assumed the leadership of the Conservative Party in 2005, Cameron worked hard to reverse the image of the party as a ‘nasty party’ devoted solely to the interests of wealthy, upper-class voters, and he signaled that Conservatives could be progressive on climate change and other issues, though Cameron has focused little on environmental reform in his first terms. Pledges to tackle prison sentencing reform, too, fell by the wayside as Cameron increasingly sidelined former justice minister Kenneth Clarke, one of the party’s leading statesmen on its left wing. Cameron’s government legalized marriage equality, and his home secretary Theresa May reversed some of the most unpopular civil liberties policies of the Blair/Brown governments, including national ID cards. Cameron’s hold on the party has never been quite as firm as it seems and, even if he wins another stint as prime minister, a weak showing on May 7 could endanger his leadership. Back in March, Cameron said that if reelected, he would not serve a third term as prime minister. That will inevitably launch behind-the-scenes jousting in an unofficial leadership race almost immediately after the election. The most striking effect of the 2015 campaign, however, has been the collapse of the two-party system, presaged by two 2014 elections. In last May’s European parliamentary elections, the eurosceptic United Kingdom Independence Party (UKIP) won the greatest share of support as British voters lodged their sense of protest with Brussels. The European vote put UKIP and its leader, Nigel Farage, on the political map as a new force to be reckoned with. Cameron has pledged, if reelected, to renegotiate the United Kingdom’s membership in the European Union and then hold an in/out referendum in 2017. 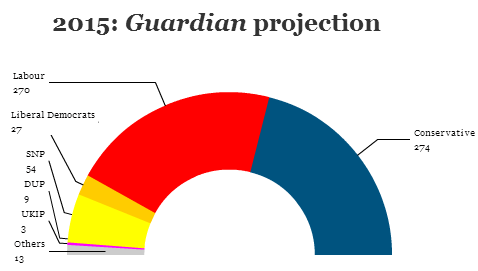 UKIP is set to win more support, nationally, than any other party except the Tories and Labour. Meanwhile, the closer-than-expected referendum on Scottish independence last September caused a sea change in Scottish politics. Though first minister Alex Salmond resigned after his Scottish National Party (SNP) failed to win the referendum, his replacement, Nicola Sturgeon, has proven even more politically adept. Her message of Scottish pride and social democracy has bolstered the SNP in the wake of its defeat. For the first time, Scottish voters say they will support the SNP in droves in the British election, causing many of Scotland’s 59 seats — many of which are currently held by Labour — to fall to the SNP. Taken together with the Liberal Democrats and the minor rise of the British Green Party, it’s meant that no party is expected to win a majority on May 7. It’s led to all sorts of speculation about coalition-building and scare tactics on both sides. Sturgeon has said she would support Miliband as prime minister, but Cameron and his allies warn that Labour, propped up with SNP votes, would amount to a ‘coalition of chaos.’ Labour elites argue that a shaky Cameron minority government would depend on votes from the anti-EU, English nationalist UKIP and the anti-LGBT, anti-abortion, Protestant conservative Democratic Unionist Party (DUP), the leading political force in Northern Ireland. The coalition chaos shows the futility of a new LibDem-pushed law, introduced at the start of the current government, to establish fixed-term parliaments. 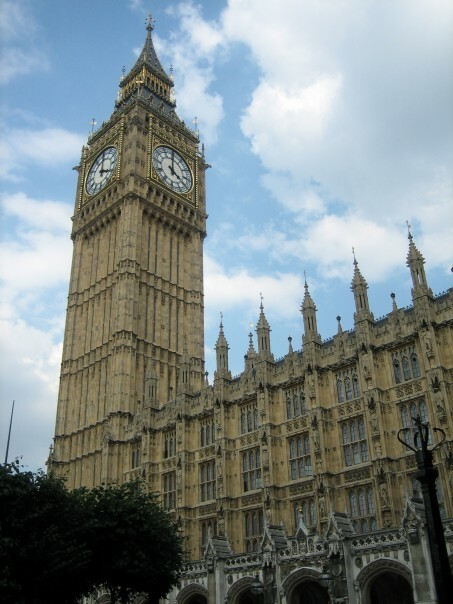 Though the law may have anchored the current coalition for a full five-year term, the law can’t stop fresh elections later this year if a weak minority government loses of vote of no-confidence in the House of Commons. That prospect is becoming ever more likely in the UK’s new multi-party political dynamics. If Scotland votes no, what will ‘devolution-max’ entail? Who would an independent Scotland even want to keep the pound? Are constitutional monarchies better than presidential republics? Does Argentina actually have a case in its fight for the Falklands/Malvinas? Should David Cameron change course over the UK budget? Is Kenneth Clarke and his experiment with prison reform finished in British politics?